Integrated hardware and software track patient medication use, lung function, symptoms and environmental conditions. 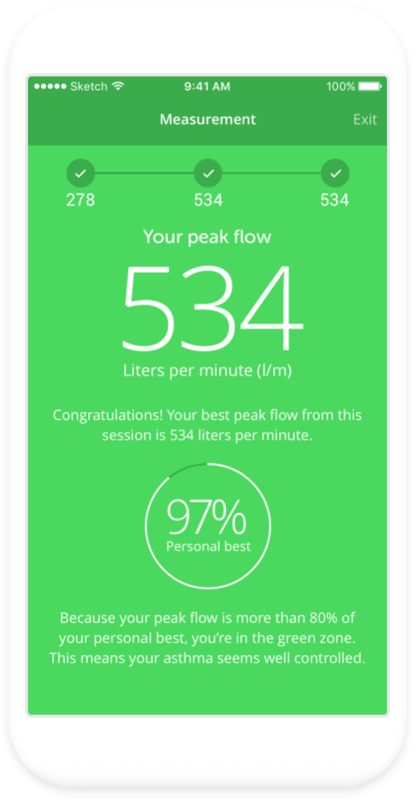 The BreatheSmart® app delivers daily reminders, environmental alerts, and insights to keep people healthy and caregivers in the know. Clinical guidelines show patients should take at least 80% of their prescribed treatment plan but commonly reported medication adherence hovers around 30%. 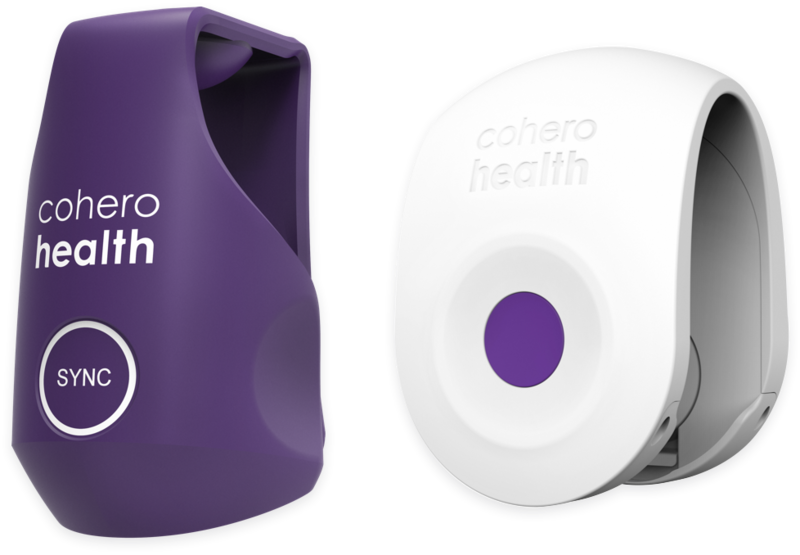 Cohero Health data show health outcomes far above industry norms to keep patients healthy at home. 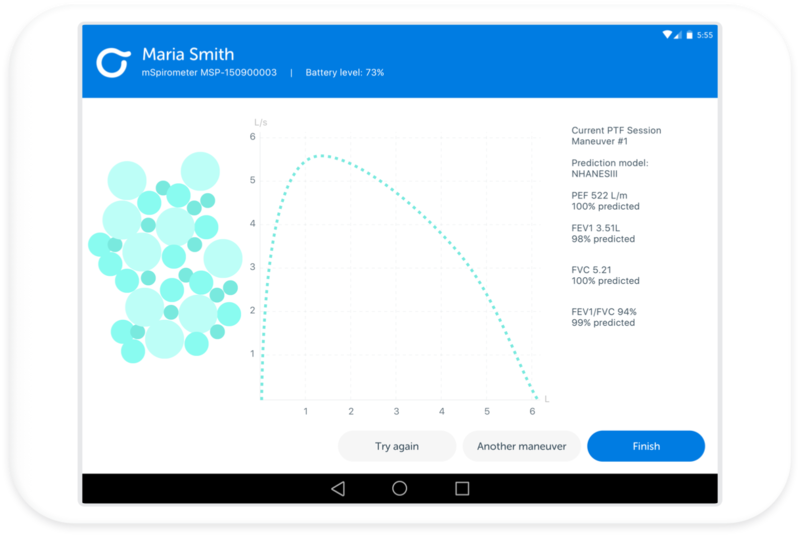 Perform clinical-grade spirometry in the clinic or offsite with a mobile tablet and mSpirometer™ lung function monitor. Sync data with the cloud instantly from anywhere. Isolate at-risk patients to take fast action at the push of a button. 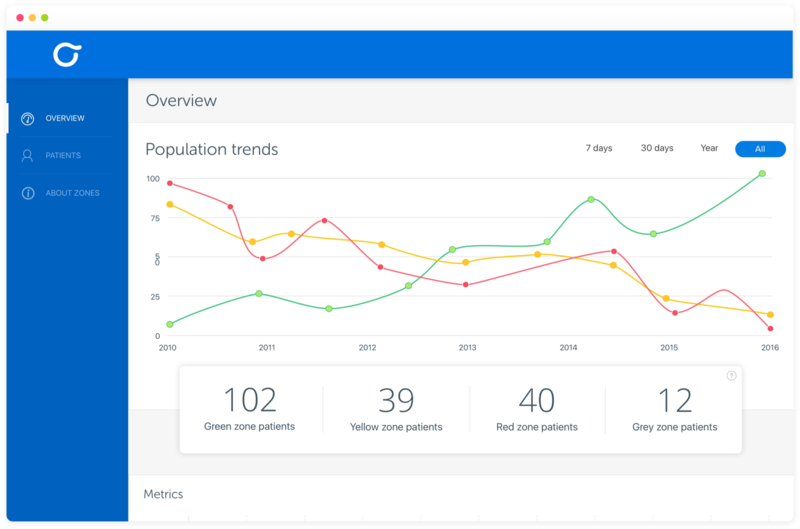 BreatheSmart Connect shows individual and population trends over time. 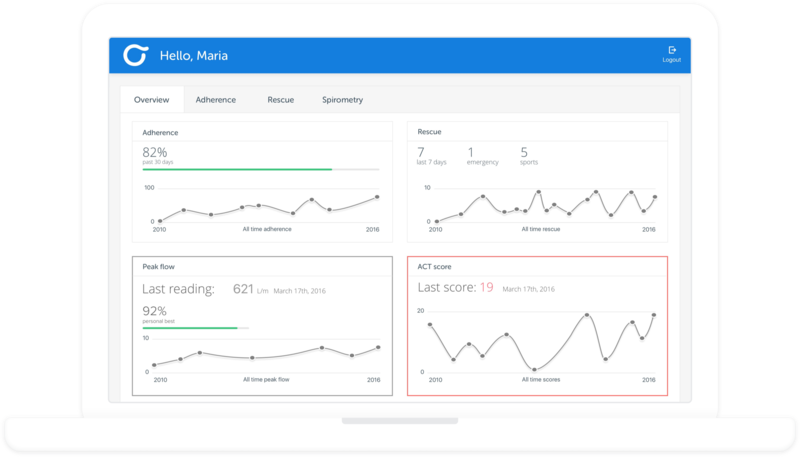 Instant messaging lets providers reach out to patients at home, before trouble starts. 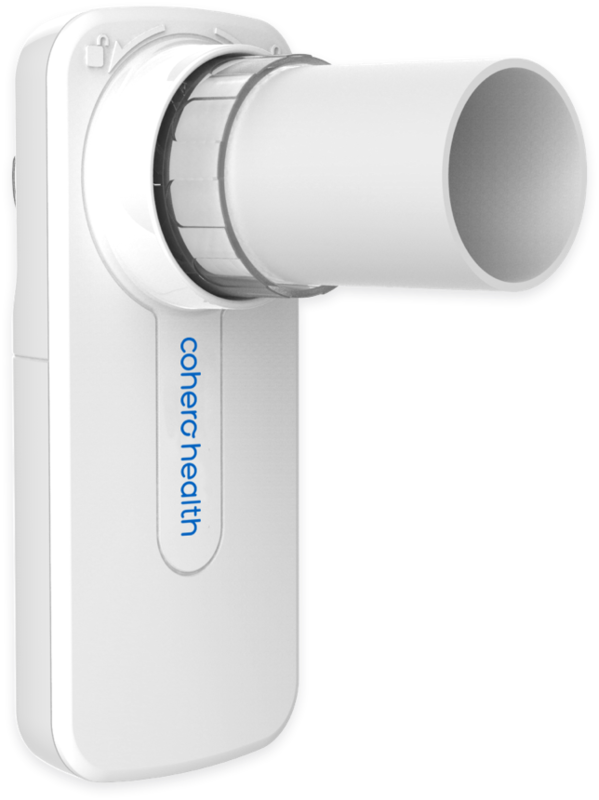 Measure and monitor lung function with wireless spirometers that track PEF, FEV1, FVC, and all necessary metrics at home or in the clinic. Bluetooth enabled medication inhaler sensors designed for both control and rescue medications fit most MDI and Diskus inhalers, and automatically track medication use.